Chad Smith, the principal chief of the Cherokee Nation from 1999 to 2011, has been a powerful force in building businesses and working toward self-sufficiency for Native American nations. He has devoted the majority of his adult life to rebuilding the Cherokee Nation and helping Cherokees learn how to help themselves. 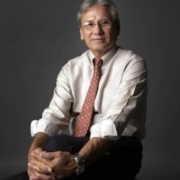 When he was principal chief, the Cherokee Nation grew its assets from $150 million to $1.2 billion, increased business profits 2,000 percent, improved healthcare services from $18 million to $310 million, created 6,000 jobs, and dramatically advanced its education, language, and cultural preservation programs. The Cherokee Nation’s success is a direct result of his principle-based leadership and his “Point A to Point B” leadership model. This model works for businesses, governments, and people in everyday life situations. 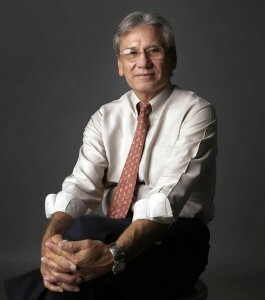 His book “Leadership Lessons from the Cherokee Nation” describing this model has been published by McGraw-Hill. His efforts outside of the government and business arenas are diversified. He is a renowned legal scholar and accomplished public speaker; has published Cherokee art, culture, and history books; produced 10 Cherokee Nation Youth Choir CDs in the Cherokee language; enjoys rebuilding old Studebaker cars; was inducted into the National Wrestling Hall of Fame; rappelled from a 19-story hotel to raise money for Special Olympics; and bicycled the entire 980-mile Trail of Tears as part of a Cherokee youth leadership exercise. He earned his BS Ed from the University of Georgia, 1973; MPA from University of Wisconsin, 1975; JD from the University of Tulsa, 1980; and MBA from the University of Nevada-Las Vegas, 2008. He has been an ironworker, tax lawyer, assistant district attorney, public defender, visiting professor at Dartmouth College, and principal chief. He lives in Tahlequah, Oklahoma, with his wife, Bobbie Gail Smith, a first language Cherokee speaker who translates English into Cherokee. He has a leadership and organization consulting practice, which includes public speaking, writing, and development of leadership projects, such as the Vision Center, a hands-on career exploration center. He also practices Indian law.